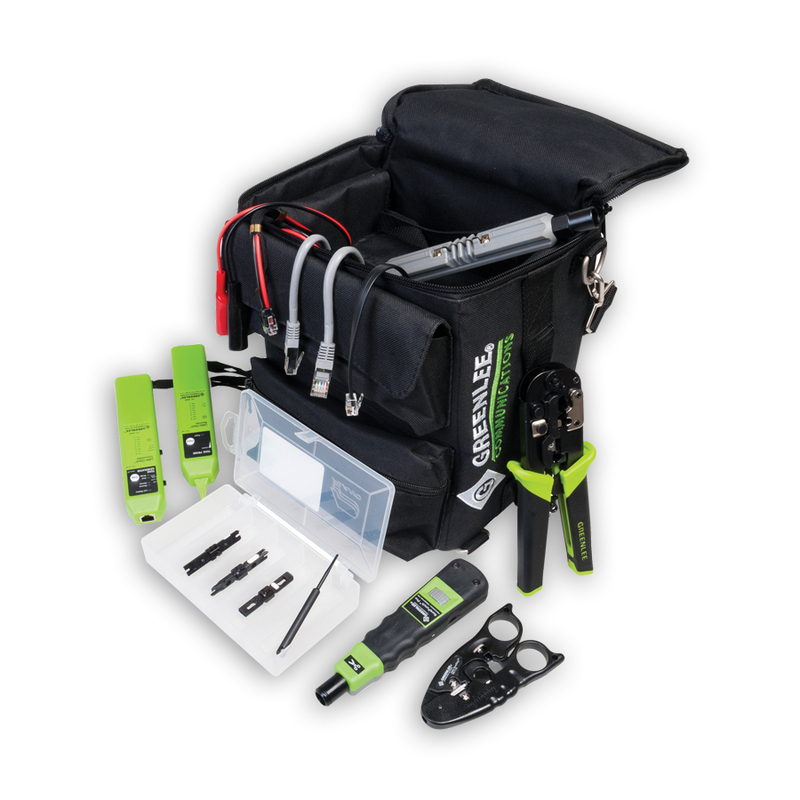 Ultimate Technician Network Tool Kit - be completely ready with our newest tool kit for data, voice, & video installation and maintenance! 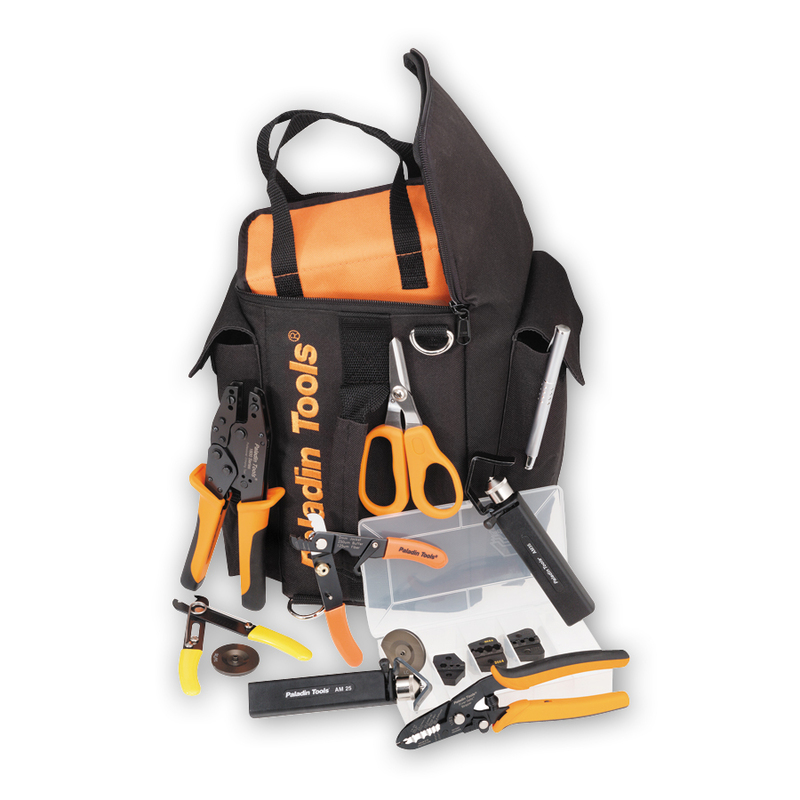 It includes all necessary cable preparation tools & continuity testers for Cat5, Cat5e, Cat6 as well as RG6 & RG6 Quad in our new ultimate tool bag. This kit is designed for today’s on-the-go LAN professional. 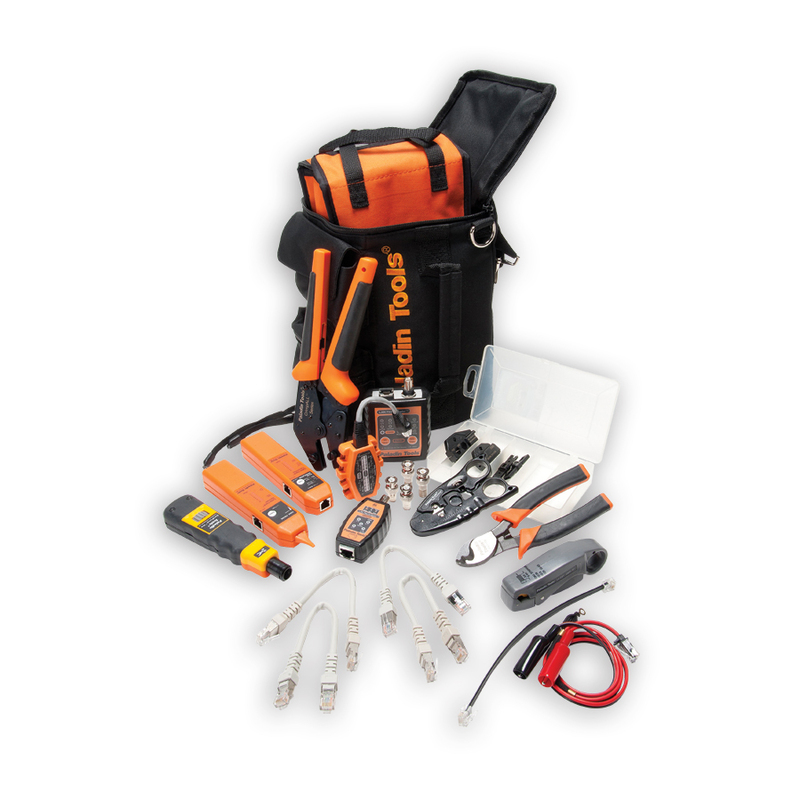 It provides all the tools and testers you need to maintain your data, voice and video networks all in our Ultimate Tool Bag that’s always ready. 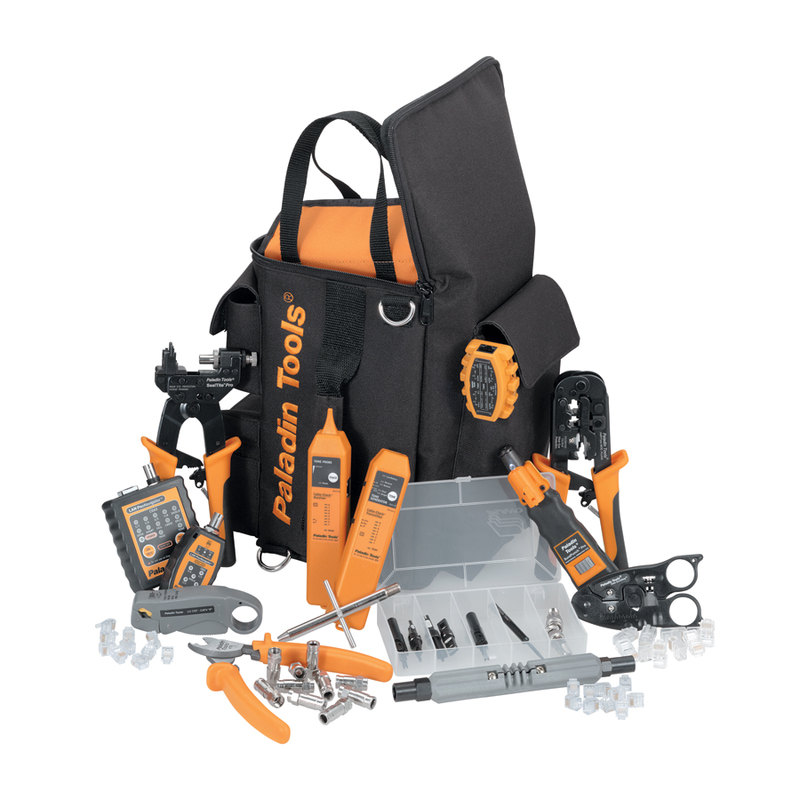 If you’re an installer or technician needing a network tool kit solution, this is it! 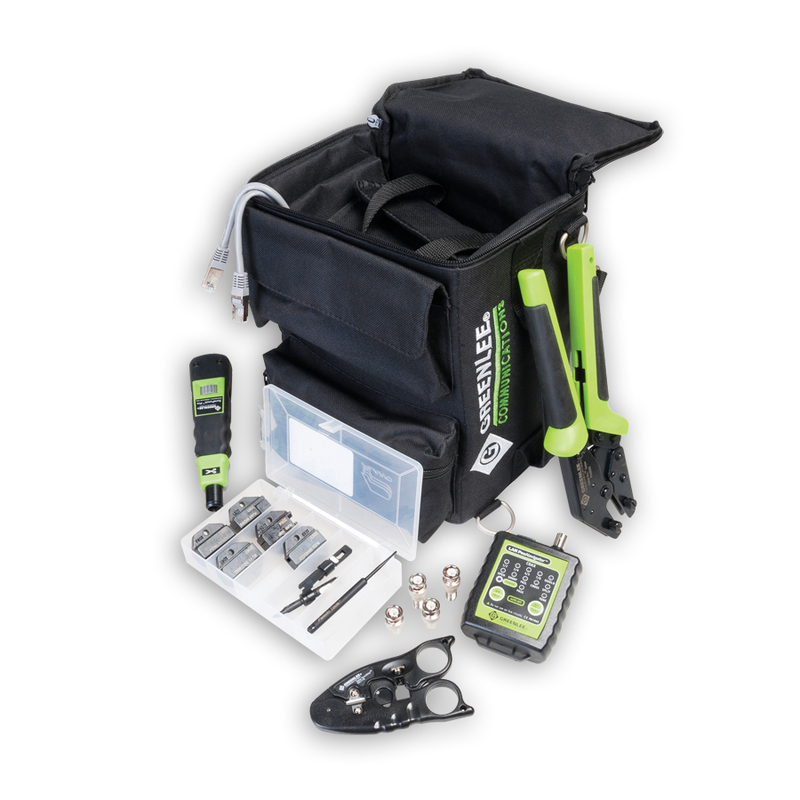 It includes all the tools you need for Cat5, Cat5e and Cat6 installation or maintenance in our rugged Ultimate Tool Bag. This kit is our biggest data/voice kit ever. It includes everything you need to prepare your cable, test the new installation or troubleshoot problems with your system. This Ultimate Fiber Kit contains all the slitters, strippers and Kevlar cutters you will need to start your fiber optic terminations. Also included is the premium 1600 Series crimp tool with 3 interchangeable die sets for STII, SMA, SMB, FC, SC and ST fiber connectors and polishing pucks. 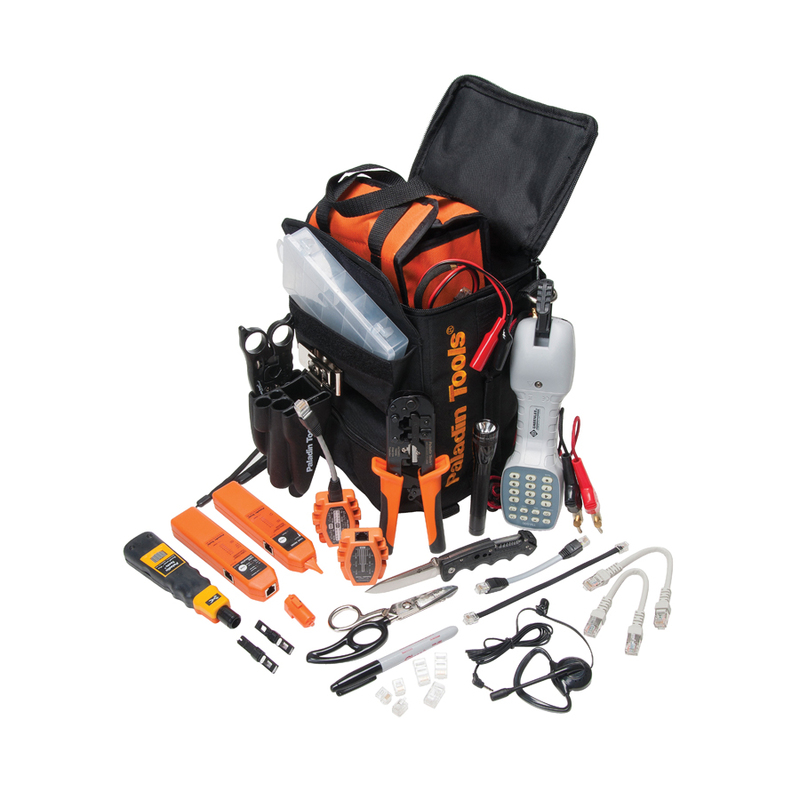 The Ultimate Tool Bag has plenty of room for you to add your consumables.